ProMobileDJ.com is honored to have earned an endorsement from the Canadian Professional Disc Jockey Association. The CPDJA is Canada’s largest professional DJ Association and through this endorsement, the CPDJA is extending an invitation to its members to use ProMobileDJ.com as a valuable learning tool. 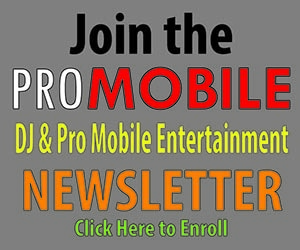 This endorsement further reinforces ProMobileDJ.com’s position as an industry education leader. CPDJA members can take advantage of a special offer developed just for their association. If you are a member of the CPDJA, please visit their website at www.cpdja.ca to learn all about it.